In this post I want to address one of the biggest blocks to being a Super Attractor: our money mindset. Money can be such a space of resistance for us. When the topic of money comes up, it can trigger a lot of family wounds and old stories. Our money mindset is often a direct reflection of however our family handled money or believed in money. It can also reflect the collective consciousness and our society’s stories around money and abundance. Therefore, we have to heal our money mindset in order to be abundant. Being abundant begins with feeling abundant. If the feeling of abundance seems out of reach, let’s first acknowledge that many of us have a lot of financial fear and insecurity — not only because of our upbringing, but also because of the stories of the world. Whatever we’re thinking about money leads to how we feel about money, and that feeling is what gives off an energy. That energy is either supporting our earning capacity or it’s hurting it. Dr. Wayne Dyer said, “When we change the way we look at things, the things we look at change.” As we open up to shifting our beliefs and our money mindset, we clear the blocks to becoming abundant and attracting financial freedom. The first step to clearing those blocks is to become conscious of them. We have to look at our ego before we can bring it to the light. There are three big blocks when it comes to abundance. Let’s look closely at them so we can begin to clear them. One of these beliefs may really resonate with you, but it’s likely that you see elements of all three in yourself. The first big block to our abundance is a lack mentality. You may believe that you will never have enough, that you will never be enough, or that there is too much lack in the world. People who languish in this lack mentality are convinced that they’ll never achieve abundance. They’re constantly struggling to feel secure. If you carry a belief system of lack, that’s okay. Let’s just look at this lack mentality without judgment. The second major block is a belief system that having a certain amount of money makes you better than or less than others. This can show up in a couple of ways. You may believe that when you have a lot of money you’re superior to others in some way, e.g., you’re smarter or you work harder. People who place importance on money see themselves as inferior if they don’t have whatever amount of money they see as the dividing line. And those who do have a lot of money can’t enjoy it because they fear losing it. This leads us to the final block. There is a belief system that our earning capacity has a ceiling, or that our capacity to earn is based on the outside world. If you have this belief system, then you might think there’s a limit to the number of people who get to experience abundance. This belief system sees the world in a zero-sum way: If one person has more, then another person has to have less. The belief that there’s not enough to go around really gets revved up by what’s happening in the world around you, because you tell yourself that your capacity to be abundant depends on something outside yourself. Now that you’re aware of the three big blocks to abundance, how do you clear them? I want to give you some tools to heal your money mindset and attract the abundance you desire! Witness your own blocks to abundance. See in your own way, what is your lack mentality? How do you feel better than or less than when it comes to financial security? How does the story that there isn’t enough to go around show up for you? Start to become very conscious. Throughout the day, pay attention to your thoughts and energy, as well as your behavior around money. When you notice those fearful thoughts around money, use the moment to create a perceptual shift. In that instant you can choose again. Immediately forgive yourself for having that fearful thought and then consciously choose to see it differently. Here’s an example of how to witness your fear and choose again. Maybe you catch yourself staring into a boutique window thinking, “I wish I could afford that great pair of boots.” Right away you have to choose a new thought (for example, “I’m grateful for what I do have, and I choose not to focus on my lack”). That simple shift redirects your energy and amps up your gratitude and positivity. In an instant, you can start to feel like that coffee you’re holding is actually very abundant. You remember that you really do have a lot of abundance around you, and you know that more than anything, true abundance is a feeling. In your moment-to-moment experience, when you take away the need to look for lack and instead look for abundance, abundance becomes what you see. Your true abundance starts with your belief system, so choose to see through the lens of love. More than anything, abundance is a feeling. Choose to reach for a thought that makes you feel even subtly better than the one you just had. Thought by thought, guide yourself out of that lack mentality. It sounds simple and it is. The simplicity of these practices is what helps us create long-lasting change. 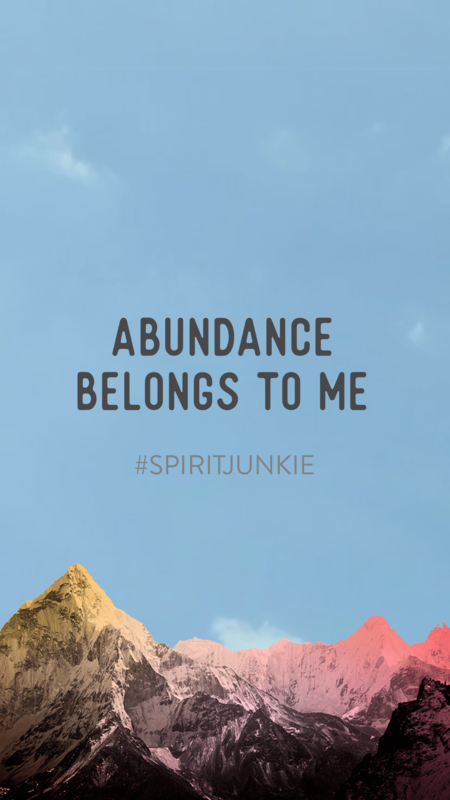 If you’re ready to be abundant by doing what you love, then get on the waitlist for my Spirit Junkie Masterclass Digital Course! It’s a spiritual and soulful launchpad that helps you get clear about your vision, create a road map for your career and lay a strong foundation for massive abundance. You’ll clear the blocks that hold you back, learn how to take spiritually aligned action, and gain confidence along with practical business-building tools. Join the waitlist and be the first to know when enrollment opens in June 2019! This is a tip from my book Miracles Now: Respect your money and your money will respect you. A dear friend of mine is an entrepreneur, and she used to complain a lot about feeling financially blocked. It was a big story of hers. One day she was complaining about her bills while we were out together. She pulled out her wallet to pay for something, and I saw that she was carrying around this tattered wristlet jammed with credit cards, coins, crumpled receipts, an old lip gloss and God knows what else. I blurted out, “If you want to clean up your finances, you have to clean up your wallet.” The next day she texted me a picture of her beautiful new red wallet. She made a point to find one she loved, and she organized it so she could find her money easily. Within two weeks her business was back in action and the deals she’d been waiting on started to come through! I believe it was the wallet. Once she had her personal money in order, she cleared her subconscious blocks and felt freedom and ease in any situation related to finances or business. This seemingly subtle shift had such a radical impact on her energy. If you’re feeling blocked financially, do you notice that you’re disrespecting your money in your own way? Do you often find that things related to money and business just don’t seem to work out for you? Your financial block stems from an energy block. Remember, energy is everything, even in your wallet. Energy is currency, so for the sake of your finances and the economy, clean up your wallet, clean up your files, and start to clear the energetic connection to your abundance. 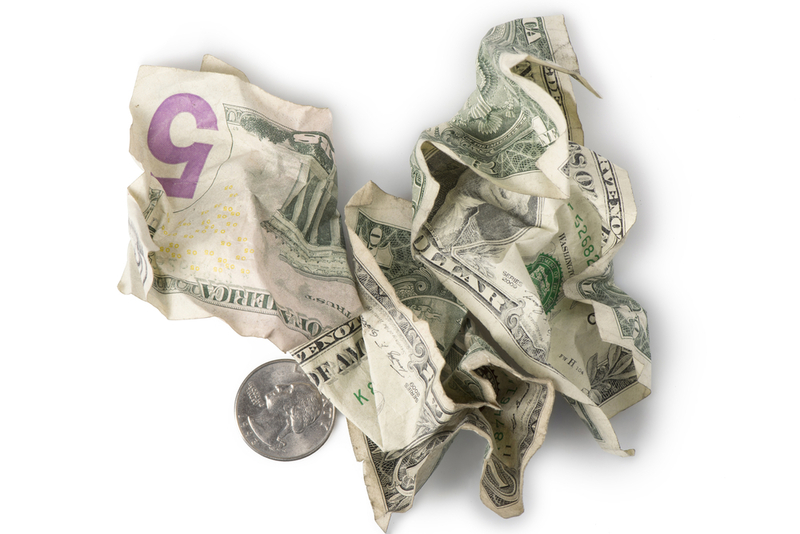 That simple shift is such a huge step toward respecting your money. If your wallet is beaten up or overstuffed (or if you just don’t like it), then get a new one. Not only will your new, clean wallet energetically support you, but it will also make a statement to the Universe that you’re ready to receive. Abraham-Hicks have a great exercise that helps us release our resistance around money so that we can co-create from an energy of abundance rather than an energy of lack. The Law of Attraction works based on our vibrational stance. What we believe and what we feel creates our energetic vibration, and we attract people, things and situations that match our energetic vibration. Abraham-Hicks created a practice called the Prosperity Game, which is a fabulous technique for shifting your vibrational stance around your finances so you can attract abundance. The Prosperity Game is a mental practice of receiving checks from the Universe. Every day you double the amount of the check you receive. This puts you in a powerful container of playing around with this feeling of abundance. Each day, as you accept this new check from the Universe, it’s your job to spend every cent of it. You could spend that check on food, on clothing, on a car. You can spend it on whatever you have enough for. It sounds really easy, but if money has been a struggle for you in any way, you’re going to be surprised by how challenging it can be to stretch your imagination. This a really important part of the game. The game is designed so that you can practice stretching your limiting beliefs about money so that you can truly feel what it feels like to have an unlimited amount of money. You can start at whatever amount you want you want, but I recommend starting big so that you have something to spend. Let’s say you start by receiving a Universal check for $1,000 on day 1. You need to then mentally spend that entire $1,000 by the end of the day. List each thing that you’re going to buy with an approximate cost. You don’t have to get too hung up on specific prices. The next day, you’re going to receive a virtual check for $2,000. Again, you have to spend all of it. The next day, you get a check for $4,000, and then you get a check for $8,000, and so on. You can’t give away your money to someone unless it’s for something special like a birthday. The reason is that we want to practice knowing that unlimited abundance is available to everyone in the world. If you’re handing a check to someone, you’re missing that they could also be in a stance of manifestation! It’s important to believe that everyone is entitled to create whatever they want, and their creations don’t have to come from a place of lack. An exception to this rule: If you want to create a charity, then make a list of all the things that you need to purchase in order to have that charity be successful. In this case, you’re using the money to invest in what you’re creating. The reason for this is that saving implies that someday there might not be enough. Remember, the Prosperity Game is a mental exercise in unlimited abundance! When you become a Super Attractor, you will begin to accept that there will never be a day when abundance doesn’t flow freely to you. When you play the Prosperity Game, you want to get into the practice of spending every day so you start to feel your energy shift. That mental opportunity to spend freely day after day starts to put you into a vibrational stance where you’re feeling abundant. Your energetic feelings of abundance will blow your mind because all of a sudden, when you start to feel abundant, abundance will find you. When you start to feel abundant, abundance will find you. When you release financial fears, you’ll come to accept that you are not your lack mentality. This practice helps you rev up that creative capacity to receive financial abundance. There’s another layer to this healing, which is an abundance prayer. Prayer is the medium for miracles, so make this prayer part of your practice for healing your money mindset. Thank you, Universe, for helping me reinterpret my relationship to money. I know my lacking thoughts are based on fear, and I’m ready to release them now. I welcome new and creative abundance, and I will pay attention to the guidance I receive. I am free from my financial fear. I am abundant. I can’t wait to hear the abundant miracles that begin to occur for you as you change your energy around your money. In my book The Universe Has Your Back, I help you transform your fear into faith so you can live a divinely guided life and attract abundance. Each story and lesson in the book guides you to release the blocks to happiness, security and clear direction. You’ll learn how to relinquish the need to control so you can relax into a sense of certainty and freedom. Making the shift from fear to faith will give you a sense of power in a world that all too often makes us feel utterly powerless. When you order The Universe Has Your Back, you’ll also get my 2-hour online workshop called The Art of Manifesting FREE! And in the U.S. and Canada, the paperback edition includes the introduction to my next book, Super Attractor. Click here to order The Universe Has Your Back! Thank you for this post.I will probably read it over again to help it sink in.One issue that comes up for me lately is HOW to spend money mindfully and responsibly now that I have more than I did in the past.I am grateful for this next step. Thank you for this! I’ve played this prosperity game in the past and it didn’t cause any shifts for me, but I’m willing to give it another try! Continue to show up for yourself by trying these practices and you’ll start to notice some exciting shifts! thank you gabs i love you!!!!!! Wow Gabby! Thank you so much for being the mirror I needed today and have been needing for a very long time! Message received loud & clear! I’m so grateful for meeting you (virtually)! What a blessing! Hi Gabby, another very powerful lesson from you! Thank you. I am feeling vi overburdened financially at the moment. I am having to sell my house because i can’t afford to pay it off and it will be repossessed. Can you give me any advice about how to deal with this great loss? I am a positive person but my house has been my anchor as i have no family support. Thanks. Sending lots of peace and healing thoughts your way, Ann. Practicing the steps outlined in this blog post will help you feel supported during this challenging time. Practice them for the next month, making sure to be extra loving with yourself in the process, and be open to all support and miracles from the Universe. Thank you for this wonderful and inspiring email, Gabby!!! Love you! YAY! Big hugs to you Antonia! Thank you for this suggestion. Just as you received another reference to getting a new wallet (I recently cleaned out mine too to clear some much needed space! ), your comment is the third reference to Reiki healing energy that I’ve seen in the past week. I too stress about money and get the horrible pang in my stomach. I will be using your visualization to help me through. I know everything always works out. It always has. But sometimes we need a little extra support and reminders. So thank you. And you as well Gabby! Wow, Gabby, this post arrived at the perfect time! Lately, I’ve been thinking a lot about money; the way I feel about, re-framing, and my new mantra, “keep expecting”. Even when I don’t have a project on the horizon, continue forward, because you’ll always have what you need when you need it. In fact, up until recently, I was in a state of lack about what needs to happen with my home. There are necessary repairs that will cost quite a bit, money that I can’t see in an account, payment from a job, etc., it has definitely caused some anxiety. However, I’ve introduced a new way of handling this, I no longer focus on the money that “doesn’t seem like it’s there”, but what I see happening to my home to correct it and bring it to it’s right and repaired state. When my boyfriend and I discuss it, I ask him to focus on the outcome, instead of worrying about the way those things exist now. It feels powerful, attainable, and resonates with a higher frequency vibration than the, “oh no, the foundation is compromised, or there’s rotten wood, etc.” conversation. I’m definitely on board with that feeling. Now, I won’t say this has been an easy transition, I’ve spent MANY sleep-deprived nights wondering where my next dollar will come from, but I finally had it and chose a different path. The reward has been exponential. How can you deny this practice when you begin witnessing the shift? It’s real. Thank you for always being a reminder of the possibility of a better life, I admire that. Thank you Gabby for the continued and steady drum beat of how possible it is to create an abundant mindset. I would also like to thank fellow Spirit Junkie Mindy for her comment on KEEP EXPECTING and focusing on the inner abundance to reflect the outer. Not the outer to the inner, right? Such a great post Gabby! This couldn’t have come at a better time, thank you so much! I have ordered from amazon your book ‘The Universe Has Your Back’. But how do I get your ‘art of manifesting FREE workshop! Your email has come to me at the right time. I have always struggled with my limiting beliefs around money. My mother has put me down in regards to having money. I am going to do your practices starting now. I do looking forward to see the shift in my beliefs around money. Dear gabby, how can i manifest money if i don’t even have a salary or a job. I have not been able to apply and don’t have much connection to anyone except my mother. I am scared because as much as i want to work and can’t move to decide on where or just go and do it. Showing up here is a brave and beautiful sign that you’re ready to make some shifts, Cynthia. In order to bust through the fear energy, start by doing the four steps that I’ve outlined in the blog. Please be gentle and patient with yourself as you practice these steps. Commit to your practice for at least one month and notice how things will start to shift. Thank you soo much you are doing incredible work and changing lives i needed this soo much.I cant wait to share my abundance success stories with you. Woohoo! Excited to hear about it all! When manifesting, it’s great to get clear on your desires. And then after that clarity, release them to the Universe and be open to all the ways in which they can show up. Often times are dreams are realized in ways we haven’t imagined. Hi Gabby, I was tidying up just now and found the notebook I’d started the Abundnce Game another time you brought it up, then I turn my computer on to get my email and read this! Last night I got up at 4am to watch the lunar eclipse, which was spectacular, I made a wish for the coming year, and as I said thankyou I saw a shooting star just beside the moon. I’ve never seen one before, so I was quite surprised. Good luck to you in 2019! Thank you so much for this. Scarcity thinking is something I’ve struggled with and am actively trying to shift out of, and catch myself to change my narrative. When it comes to the Prosperity Game, it says to not put the cheque into an imagined savings (unless saving for a house…and to wait for a larger mental cheque). Does this also apply to crippling debt? lol. Cause I would feel abundance paying down my debt. Can we do that? Would the same rules as savings apply? You can definitely use the Universal check towards paying off debt, as this will help reinforce your feeling and knowing of being abundant! Thank you for this Gabby!! I am a Miracle Member, and my first month was about Abundance. It was incredible what transpired over that month when I was dedicated to healing my lack mindset. This is a much needed kick in the pants to get back on the “abundance train”. Thank you!! Dear Gabby! This is Beate from Austria. Since I say I AM….and not anymor I WANT……everything flows just at the right time in my Reality. Big relief. Send you many well wishes! I’m so excited to play the prosperity game. I’ve already told a few family members and friends to see if they want to do it too. Hey why not! Big hugs to you Carolyn! Gabby – I love how your blogs are like mini books. I think abundance also comes from sharing our gifts freely! PS –> I just have to say we have the same name, same hair color, SAME BIRTHDAY and we’re both yoga teacher writers… so big love!! Today was a huge self care day for me. I did some Kundalini meditation and could FEEL that shift. Then I pull up this email!! I am so ready to clear these old money mindset blocks. This could not have come at a better time. Thank you, thank you Gabby. In such a chaotic world, your words shine through and give such beautiful guidance along the way. Gabby! 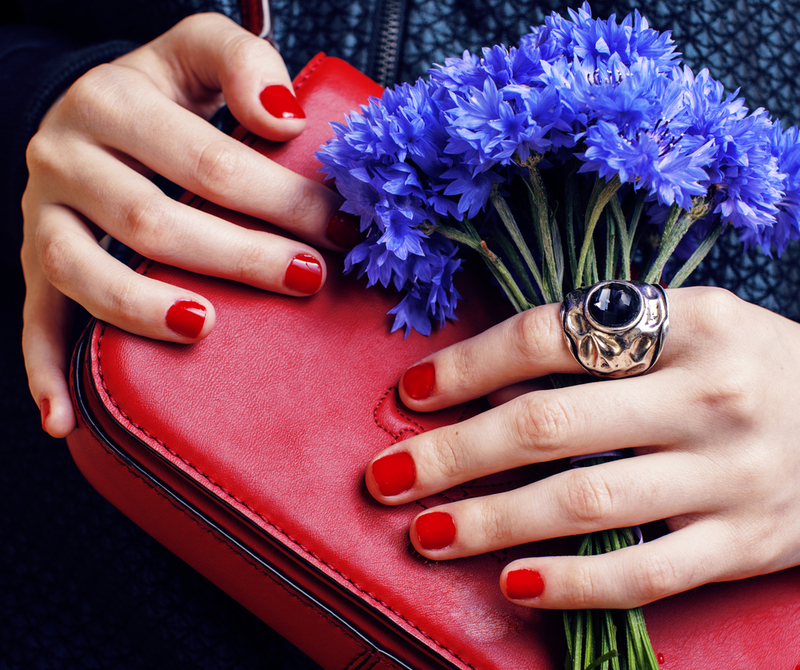 Thank you – I reorganized my wallet already! 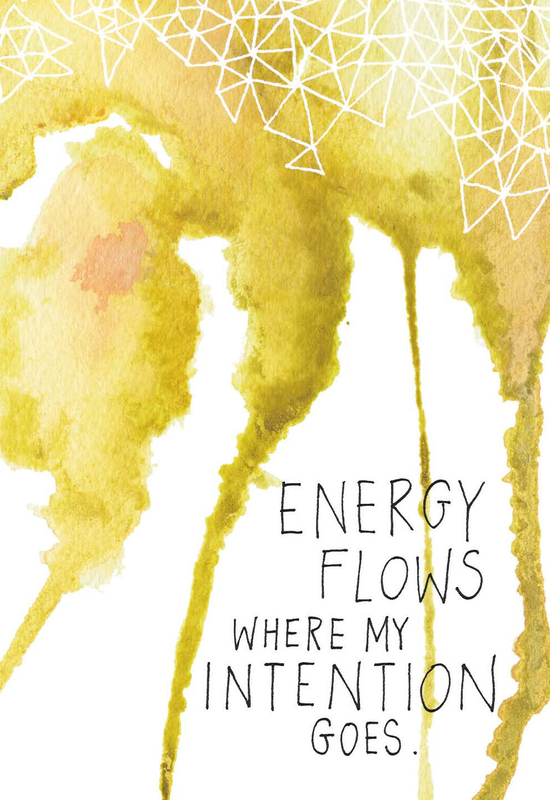 Open and ready for abundance to flow from the inside – out – I already feel it! As always, this showed up at the perfect time. Really struggling with my relationship to money! I love the prayer. Thank you for all you do! Gabby, I’ve been working on figuring out my money blocks for a few weeks. I really didn’t feel like I was there yet. Then after reading your post, I was driving and it just came to me, ALL of them with examples and everything! Whew. Now that I know them, I feel like I can do something about them. On another note, while I am working on my money blocks the reality is I have a daughter (age 8) that has very wealthy cousins and doesn’t always understand why we don’t do everything they do. (or buy). How do I avoid sounding like we need to avoid spending money on some things to save for others? Or to give her a positive view of money? After all, I don’t want to be the one that gives her, her money blocks! Beautiful Robin! By continuing these practices, you’ll set an amazing example for your daughter. It might be fun to include her, whether you play the prosperity game together, say a daily prayer, or start a meditation practice. Thank you so much for replying! I would like to teach her how to meditate, so maybe I’ll start there. Loved reading this Jenille. Trust that inner wisdom. soooo good. Committing to 30 days of the prosperity game. This is the third time today I have seen respect your money and your money will respect you!! Love it! Get ready for some big shifts! So grateful I found your guidance on YouTube! I will put this into practise, right now! I grew up in a home of 7 seven children and my parents. There was always fear around money. Food and fun activities were always limited. As an adult I feel that’s where my lack mentality began. I’ll be 50 soon but now feel I can change the way I look at things, and the things I look will change. I will witness my blocks and choose again. I believe in miracles! Thanks for this beautiful share Kristin! Excited for you to dive into the prosperity game and feel some major shifts. Thank you so much! I got a new wallet I love a few months back and it didn’t seem to have a place for notes so I was stuffing them in to the coin part and the notes were always getting caught in the zip which was so frustrating. After reading the post I reshuffled things in there and found the perfect little spot for notes that I didn’t notice before !!! I’m looking forward to seeing what difference that makes!! Just a quick question about the money game, can you include money you actually did spend in the calculation? Awesome Sal! Grateful these tools are supporting you! Hi Jane. The tools in this post are helpful not only for bringing in abundance but also for staying in it. Commit to these steps for the next month and be open to seeing some major shifts. It sounds like you are in the process of moving some big energy. Keep returning to these practices and know that you’re doing amazing work. It’s amazing what can happen when we open ourselves up to big miracles and shifts. I’m not verry good in my englisch but i deside to read is over and over again not only to understand but also to feel it. You a great inspirator i learn every day from the universe and see more evry day! This post (like many of your others!) really struck a cord with me. I’ve written the financial prayer into my copy of my judgement journal, along with the other prayers: which I have been saying daily since March last year. For me the daily practice with the detox prayers have been associated with massive, truly tangible, sustainable shifts in my energy, thoughts and feelings. As I say these prayers to myself or share them with others, I can almost feel the energy in the air vibrating with the potential for positive change. I am looking forward to this with the financial prayer. I think this is the most hard topic for me nowadays. I made a complete shift in my life. I quit my job and started doing and pursuing what I really like and love. Making such a change in my life has not been easy but not as hard as I though. Of course money (and “success”) has been a topic. I have been always so organized with money and I was used to have savings for whatever could happen, like the Soyouz spacecraft attached to the International Space Station just in case you know? Well, part of that decision was to live on those savings until the Universe unfolds my new track in front of my eyes. I am grateful because I have been receiving a lot of signs that the universe has my back. Nonetheless, from time to time fear appears and tries to get me in that spin. I thinks it is just about to be clear, and as you mentioned Abraham-Hicks, I need to be very careful about the vibration I am sending and the emotions I am feeling. Having your email today is a sign it self. Giving it a little though, I have never experienced scarcity. I understand there will be always enough for everybody. Thanks a lot for your messages, your book and you sincere energy to make this world and us better. Happy that you connected here, Hector. Grateful that these tools are serving you. I’m reading the universe has your back every night and used a mantra today about returning to love in the middle of test. I succeeded and my interview is schedule for next week. I’m grateful to the universe for guiding me and I’m grateful for you Gabby Bernstein. Thanks a lot for this post Gabby! I’ve started to practice abundance and have already seen huge differences in my life as a result. I am definitely going to practice this technique and realize the miracles its about to give me. I’m so grateful for all your guidance. Thanks a ton for everything that you’re doing, Gabby. Loved reading this Shriram! Excited to hear about all the amazing shifts you’re experiencing! Hello gabby and love to baby Oliver!! I m the aspiring website content writer and following your tools I have got success in my first gig. I have started freelancing. Everything which you have been teaching is of great help. I m very thankful to you for that. I totally agree about the abundance message you have shared and I will try to make shift..
Hi Valerie. The game is for visualizing the checks and the ways in which you’re spending the virtual money. This helps you get in the positive vibration of abundance. Enjoy! Thanks for the reminder. When I get stressed about money, I remember how two years ago I was freaking out about lack. My wife was sick couldn’t work and we had four kids in line for college. All I could think about was lack, lack, lack. It was overwhelming fear. I couldn’t live like that. I read The Universe Has Your Back and started a daily gratitude practice, and thanked spirit for my abundance. In a couple of months I felt awesome. Calm. I didn’t make any more money, but I felt rich. Thanks again Gabby. Thanks for this amazing share, Bill! I love your books and your posts, they help me so much. It made me want to keep going in life and achieve more, and help others achieve more and feel good. You are an inspiration ! You rock Kathia! Sending big hugs your way. Hi Gabby, thank you for this post! This came at the perfect time – I’ve been trying to undo my money/financial (and abundance) blocks for some time now. I really find tips #2 and #3 super helpful. I love the idea of a prosperity game! I’m going to begin letting the Universe know my desires and opening up to receiving. Excited to see what develops! Your post was just the right reminder, for me to open the door to financial side of abundance symbolically through my wallet. I’ve been wanting to buy a new one for some months, but every time I saw something I liked I talked myself out of it by thinking “oh, well it’s a bit expensive… Well the old one is still holding it all in”, etc. Then, I read your post and the moment I read your story about your friend and the wallet I stopped went on the website of the company whose designes I like and I ordered a new wallet. The moment I read you post It became clear to me what limiting and abundance blocking messages I was sending to myself. That I was not worth of something beautiful and new, that I was prepared to settle for something tattered which was also “getting too small” for my current needs. I also want to share with you another piece of magic. An hour after I read your blog on and order the new wallet on Monday I had an e-mail from a potential client, I met her on Wednesday and she has now became a client. I so see that the moment I opened up the door the abundance has flown in. The Universe could freely do it’s magic. Yes, I must get rid of my broken wallet and get a new beautiful wallet. I have an unusual issue around this – I have two young skaters who need to travel a lot and cost a lot in coaching etc so much so it is crippling for us financially. They love the sport and we are proud of who they are becoming as young women and the opportunities this will (eventually) give them. We need to have abundance for them to continue to compete at international level! However, every time I try to vibrate and attract funds I panic as everyone of these costs has a short deadline – weekly coaching, term costs, entry fees and flights months out from competition, surprise costs of new boots before they were expected etc. We just generally need a lot more! I am stuck as I just don’t know how to imagine so big but still pay all the bills and not panic? I was so happy to open your email on abundance and it spoke to me for many reasons. Thank you! For one, I had just read one of Wayne Dyer’s books so it spoke to me. Also, I have been ruminating over removing blockages and the feeling of lack despite the facts to the contrary although we have a mortgage which keeps me up at night because it’s larger than we would like since we are in our mid-late 50s. I feel pressure to be living mortgage free which will allow us to travel more, enjoy some things more freely. Two things: The other day, I was going through some files and found some $ I had stuck away and forgot about. We are going on a vacation and will allow us to spend more freely on a few activities! And, yesterday, I was cleaning out my closets and I found a wallet with $ in it! I saw them both as a sign! However, I am wondering if you can help with a few things: I have sort of ‘given up’ the notion of the other dreams and desires I have. I have been practising for 14 days and now am at 18million. I have really been struggling to find things to spend money on! Also, is each day like I am starting all over or should is it cumulative in that I would have already been mortgage free, bought the new car etc etc? Keep up your work. You are filling a hole in the self help space that is no inspiring! Thank you! This is awesome…and something I’ll have to practice. Growing up, I was told not to ask for things and taught asking & praying for money was rude and selfish. Thanks for writing this. I recently realized a big limiting story I have about money – that having an excessive amount will make me unhappy. Of course, that is not true. After ready your blog, I also realized my wallet is organized, but the papers + info I give to my bookkeeper are not. I always feel better when I organize that part of my life! And lastly, I saw your book physically at the Amazon bookstore the other day and was happy to see your face boldly on it. None of the surrounding books on the shelf had a similar cover. I remember talking to you at Afest years ago about personal brand and how we do all our own social media and wouldn’t have it any other way. Still the same. 🙂 Hope you are well! This is an amazing breakthrough, Christine! Sending you big hugs. Thank you so much for this awesome tool to overcome money blocks. I want to share with you, that I’ve been doing the prosperity game for 15 days now, and it`s amazing how it changed my thoughts around money. Last week I received gifts from different friends I did not expect, or say I wanted (but I wrote them in “spend list”), I feel abundant now, and hopefully I’ll find a job. I’ve just started to follow you and read your blogs. I love your energy and the way you explain things. I will definitely try the money exercise to change my mindset about money and hopefully it will let my yoga therapy business grow. Thank you so much! I’m grateful you’re connecting with these tools! I love this! Thanks Gabby. I started the Prosperity game a while ago. It was great but I eventually quit as the amounts got too high and I didn’t know how to accept or spend so much. I’m ready to go again so this has turned up in my inbox at just the right time! I love that divine timing! Hello Gabby! It has been so inspiring to read you tonight just here in Mérida Venezuela where we have so much economic problems. It gave me a sense of hope in the middle of a terrible depression due my country economic, social and political situation, with this socialist government that does not allow free enterprise as in the United Stated, where you live. Anyway, it gave me hope and thed possibility of go out of this dark tunnel. I really believe this can work due I have practiced this in the past and worked for me in a fabulously way allowing me travel to Russia, buy my car, great clothes, gym sessions, great food and big incomes, of course the situation of the country was other, but even now I think I can reach it again because the Universal Laws. I love you Gabby, I think you a a very special woman and human being…my best wishes for you! Thank you for this beautiful share, Franklin! Grateful to hear the amazing ways that these tools are serving you! Gabby, I started doing the prosperity game and I manifested a free plane ticket to a life-changing event! I deeply believe it worked because I was having fun spending my money and I just trusted that if I was meant to be there, it’ll happen. And it really did happen!! Thank you so much for sharing this prosperity game! Thank you wholeheartedly!! Right now I’m running into some challenges again. I am having a hard time spending my money after all my debt/bills have been paid off. I have like $46,000 right now and I catch myself saying, “You’re going to need to set a side some time to spend that $46k. Who has time for that right now?” Or I’ll realize that all my debt has been paid off and I’m financially free, yet I’m having a hard time spending my money, so it’s not the financial debt that’s holding me back. What is truly holding me back from abundance? Any suggestion on how I can get through this one? You’re doing great Sheng! Know that this is a practice, just like learning anything else new. Acknowledge the resistance when it comes up, but then tap into your joy. When playing the Prosperity Game, bring your focus back to fun. What would feel fun to spend the money on? What lights you up and makes you happy? I played the prosperity game for the first day today. I started with £1000 (English pounds) and wrote down what I would buy with it. That’s all I’ve done. I haven’t prayed or done anything else. I popped to the pharmacy to buy some travel size toothpaste and received a voucher saying I’d won 10,000 points. This is worth £100. So I have £100 to spend on make up or perfume or cosmetics etc. Good start . I then went to buy something to eat and they gave me a free coffee because they’d poured it by accident. I’m going to keep doing this exercise, who knows what will happen if I continue it everyday and complete the exercise fully with the prayers etc. I bought the audio book on audible. Does that come with the 2 hour on line workshop? I am loving the book so far. Thank you for sharing your wisdom. I notice this isnt’ a new post but it says we can access yuor manifesting workshop when we order TUHYB . IWas this pre-order or any order? If any order, i bought my copy throigh amazon/ audible and wondered how i access the workshop?